the prefix LI (Lima India), while LB-calls may use LJ (Lima Juliett). and ordinary LA stations within the same periode. Rules for the diploma click here. OR you may send your card via buro, and my card will then go same way back to you. Worked some 675 QSO during those 13 hours, and in 58 different countries. Not many DX, except for EA8, PY, VK3, VE3, HS0 and EU. Thats WAC in 13 hours. Conditions were really poor. Had lots of fun. http://www.vulkaner.no/t/lanza/lanza2014.html is the answer to that question. before ended up in bed with an influenza, and no voice for the SSB-test. 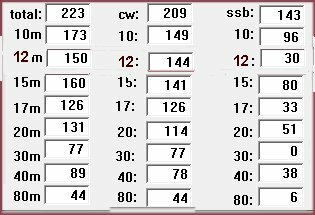 (Made only 66 qso....) That was that. Kept up activity for the rest of the year, except for another month away from mid Nov to mid December. A "NORGE 1814" - diploma will be issued by NRRL. The award is issued by the Norwegian Radio Relay League to commemorate the bicentenary of the Norwegian Constitution in 2014.
a. Applicants from Norway, Sweden, Denmark, Finland, Åland, Iceland and the Faroe Islands contact or hear (SWL) at least 112 different Norwegian amateur radio stations (LA-LN), of which at least 56 operates with the special prefix LI or LJ. b. Applicants from other European countries contact or hear (SWL) at least 56 different Norwegian amateur radio stations (LA-LN), of which at least 28 operates with the special prefix LI or LJ. c. Applicants from outside Europe (DX) contact or hear (SWL) at least 28 different Norwegian amateur radio stations (LA-LN), of which at least 14 operates with the special prefix LI or LJ. d. All contacts and listening reports must be made in the period 1 January 2014 at 0000 UTC - 31 December 2014 2400 UTC. Contact with the special event station LM1814 counts as 10 LI / LJ stations. Only one - 1 - contact with LM1814 can be included in the application. All valid modes and frequencies for amateur radio can be used; including frequencies above 30 MHz. Cross band, repeater or satellite contacts can not be included in the application. a. Number of different Norwegian stations: 200, 500 and 1000.
b. Band. The same stations may be worked on several bands, but each contact counts for only ONE band. c. Mode (CW, SSB and digimode). The same stations may be worked on several modes, but each contact counts for only ONE mode. d. QRP (maximum 5 W transmitter power). All contacts must be made on the actual band, mode or with QRP to get the endorsement. Each applicant may apply for several awards with different endorsements, but each contact or report (SWL) can only be used for one award and endorsement. For each award and endorsement the full award fee should be paid. The Norge 1814 (Norway 1814) award is established to commemorate the bicentenary of the Norwegian Constitution in 2014. In 2014 it is 200 years since the Norwegian Constitution was signed at Eidsvoll. The Norwegian Constitution of 17th May 1814 holds a special place in Norwegian history. Not only was it the foundation for democratic development, it was also instrumental in providing Norway with status as an independent country. The 112 men in the Constituent Assembly produced one of the most liberal constitutions in the world at the time. The Norwegian consitution was crafted around three principles: separation of powers, the safeguarding of civil rights and parliamentarianism. I support the "DX Code Of Conduct"
I will listen, and listen, and then listen again before calling. I will only call if I can copy the DX station properly. I will not trust the DX cluster and will be sure of the DX station's call sign before calling. DX frequency or in the QSX slot. I will wait for the DX station to end a contact before I call. I will always send my full call sign. I will call and then listen for a reasonable interval. I will not call continuously. I will not transmit when the DX operator calls another call sign, not mine. I will not transmit when the DX operator queries a call sign not like mine. I will not transmit when the DX station requests geographic areas other than mine. When the DX operator calls me, I will not repeat my call sign unless I think he has copied it incorrectly. I will be thankful if and when I do make a contact. I will respect my fellow hams and conduct myself so as to earn their respect.